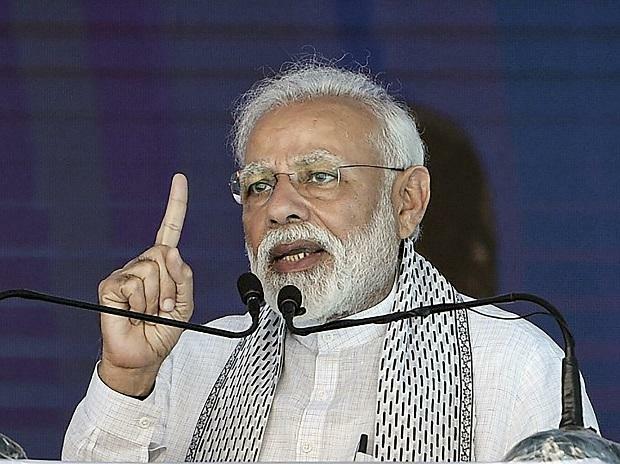 Prime Minister Narendra Modi will Sunday lay foundation stone for hospitals in Hazaribagh, Dumka and Palamau and inaugurate a host of development schemes during his visit to the state, an official statement said. The prime minister will lay the foundation stone for four 500-bedded hospitals in Hazaribagh, Dumka, Palamau and Jamshedpur. This apart, he will lay the foundation stone for Hazaribagh urban line water supply scheme and rural drinking water supply -- four schemes for Hazaribagh and two for Ramgarh. Modi, who is scheduled to reach Hazaribagh at 2.30 pm, will also inaugurate the newly constructed building at the Women's Engineering College in Ramgarh district. He will inaugurate one rural water supply scheme for Ramgarh and three for Hazaribagh besides a sewage treatment plant and 'Madhusudan Ghat' under Namami Gange - National Mission for Clean Ganga programme. The prime minister will lay the foundation stone for 2,718 piped water supply schemes for primitive tribal community and a tribal studies centre at the Hazaribagh-based Acharya Vinoba Bhave University. The day will also mark the beginning of deposit of money in farmers' account for purchase of mobile phones under e-NAM (National Agriculture Market) scheme, distribution of milk among government school children under PM Gift Milk Scheme and house warming of beneficiaries under the Pradhan Mantri Awas Yozana, the release said.